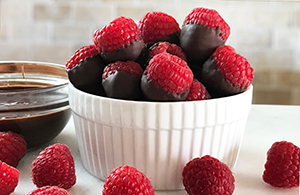 What a pair — raspberries and chocolate! This cheerful dessert-like black tea is not only about the sweet berries; a subtle cocoa creaminess adds to the complexity of the cup. Highly complementary raspberries and chocolate meld together perfectly, and the black tea provides a solid, smooth base. 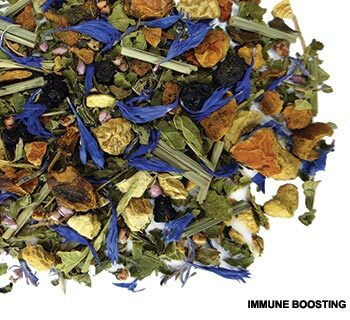 A dash of cinnamon peeks through while blackberry and blueberry leaves mellow the brew. There is a lingering sweetness. Take it up a notch and pair this bold black tea blend with lemon cake drizzled with dark chocolate. It also pairs well with fresh-baked buttery shortbread. Raspberries are a member of the rose family. In art, the raspberry is often a symbol for kindness. The red juice was thought of as the blood running through the heart, where kindness originates.